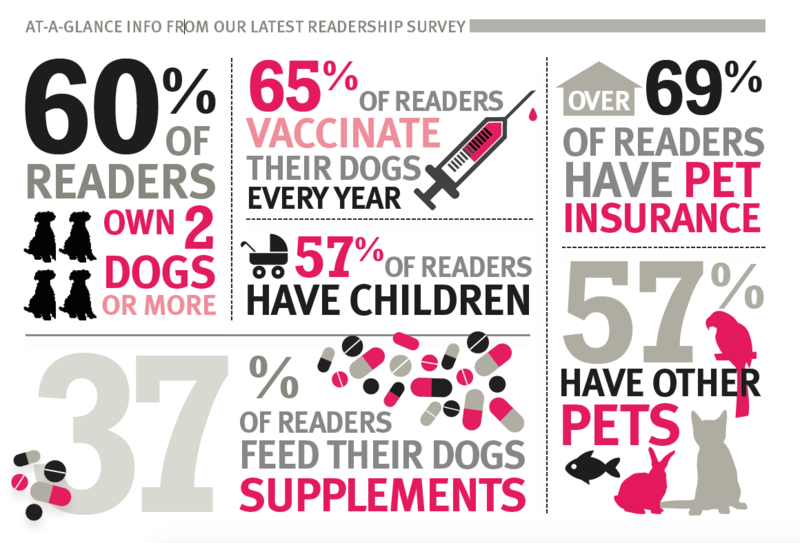 Dogs Today was launched 26 years ago by the famous media mogul Lord Rothermere. He had a vision for a magazine that gave pet owners a strong voice. When Beverley Cuddy got the launch editor’s job she never imagined she’d end up owning the publication, but that’s what happened. Lord Rothermere, owner of the Daily Mail, the seventh richest man in Britain, gifted Beverley the title for £1 and even became a shareholder in her new company. It wasn’t just Lord Rothermere and his dear friend Sir David English who were impressed with the title’s passion every month; the new title picked up many glittering awards and nominations from the media – and still does, all these years later. It is the magazine the media turns to whenever there’s a doggie story. It’s the magazine that normal people turn to when there’s a serious doggie problem that needs solving, too. This is a magazine with a heart that gets things done; it doesn’t just report the news, it makes it. Launched in August 2012, the Pet Directory is accessible from the Dogs Today website and split into categories, it’s an easy to find, easy to use shopping guide for products and services across the industry. Extensive listings available with your company name, logo or image, 30 words plus live contact details. Creating awareness of the online aspect of your business has never been more important with an ever-increasing number of people shopping and buying on the internet. Being listed on our Online Directory is a cost-effective and logical addition to any marketing plan, creating traffic to your site.